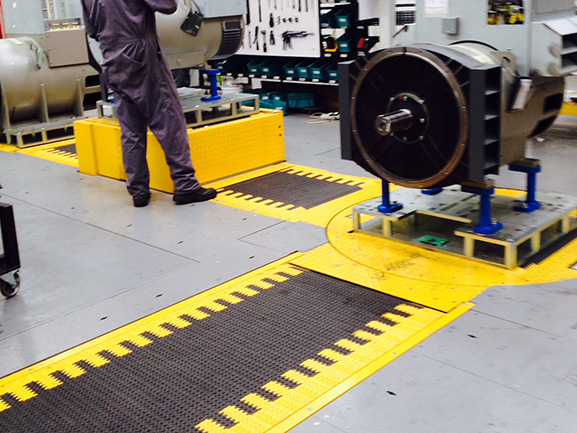 FM Nicholson Group Manufacture Pallet Conveyors with capacities up to 2 tonne per pallet (or greater if required). 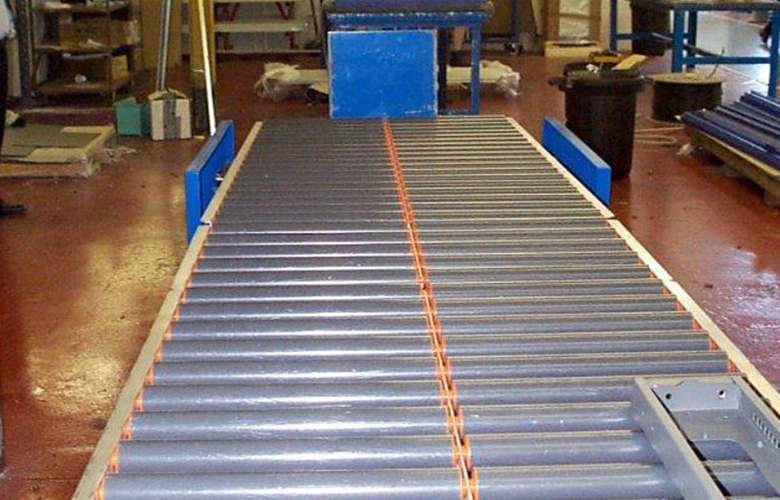 Our standard range of powered roller and chain conveyors can handle up to 100 pallets per hour with accumulation / indexing or continuous operation. 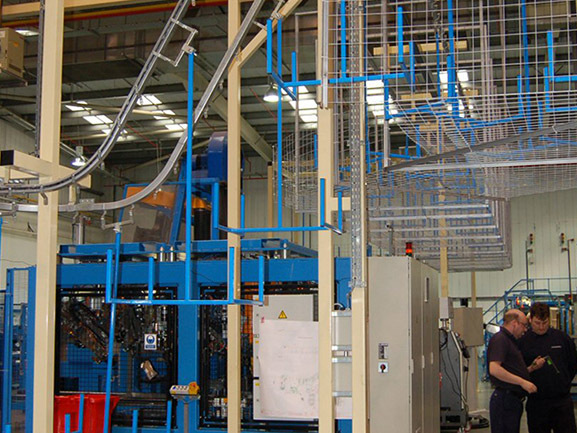 Transfers and turntables at 90° can be incorporated within the systems to offer complete flexibility of layout. 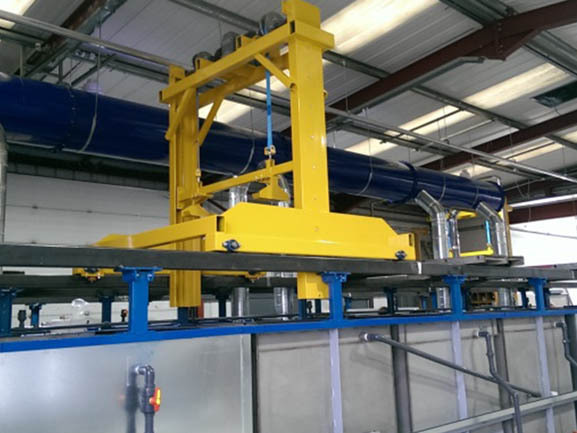 Vertical lifts can also offer unparalleled access when feeding from production to warehouse, and if capacity is an issue, handling 2 x 2 tonne pallets on each transfer. 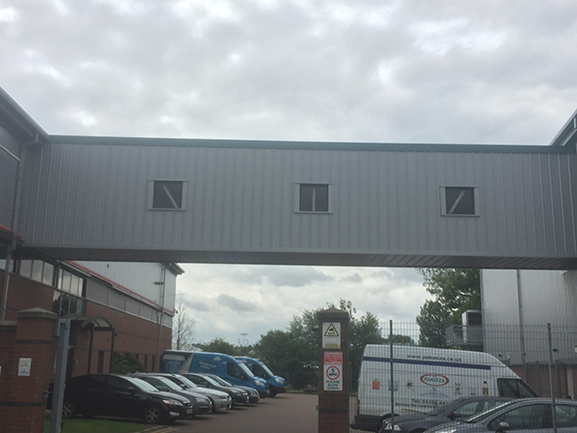 Enclosed high level bridges can also ensure constant delivery of product between buildings without fork lift truck operations, with spans of 20m clear without central supports. 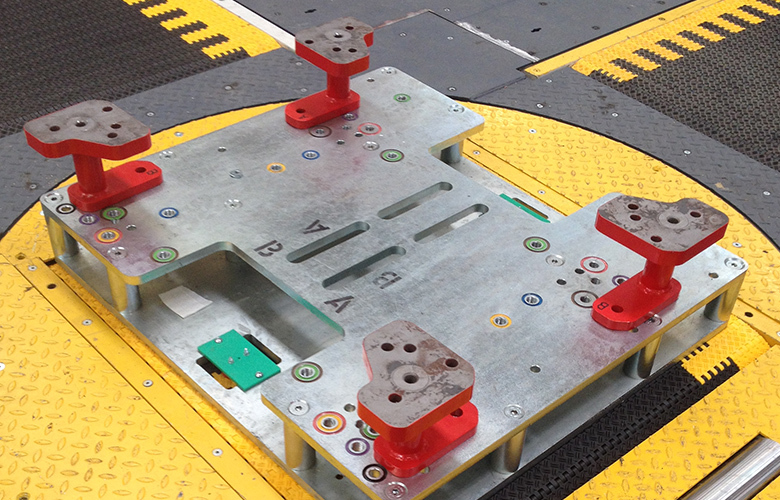 Control systems allow great flexibility of accumulation and storage when feeding pallets to/from robotic palletising. Our pallet dispensers deliver empty pallets from stacks singly to feed order assembly, production or robot cells.